Hello everyone, thanks so much for visiting! Are you ready for a fun challenge? We're playing "I Spy" this week at Allsorts ...I spy something beginning with B. Super fun theme chosen by Brenda. I hope you'll join in the fun, so many choices here!! 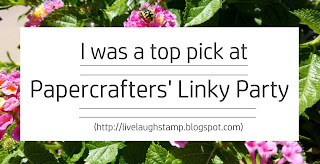 Also, the linky for the Papercrafters Linky Party has been posted, and you can find my top pick from last week and the new linky at the end of this post as well. Don't forget - Anything Papercrafts Goes at Papercrafters Linky party. To make my card I first inked up an acrylic block using Zig Clean Color real brush pens . I simply scribbled the makers on top of the block, spritzed with water and then stamped the block onto Strathmore Bristol Vellum cardstock. I let the ink dry before stamping the boat using versafine onyx ink. 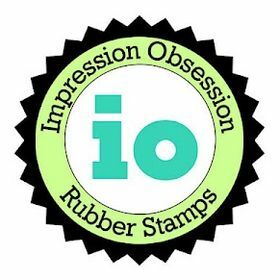 The boat and wheel stamps are both from Just for Fun Rubberstamps. The sentiment is an old retired one from Stampin Up. The wheel was stamped using Distress ink Broken China. I finished off the card by tying some May Arts Natural Burlap twine around the card. For this card my "B" is a butterfly. I used the Tim Holtz Mixed Media Butterflies Stamps and Stencil Set by Stampers Anonymous. I used this same set on Tuesday's card, if you missed that card an would like to see another way of using this set, you can see it HERE. To make this card I inked a piece of Neenah Solar white 80lb card stock using Distress Ink Evergreen Bough (the same ink I used on Tuesday's card), then placed one of the stencil patterns (which is part of the stamp set) onto the card stock and added a little more of the same ink to create a design. Using the same ink again, I stamped the sentiment, butterfly and hearts. Distressed the edges using a distressing tool then matted with black card stock and distressed those edges as well. To finish off this card I added a sticker sentiment from Tim Holtz's Metallic Quotations set. This was then adhered to a white Neenah card base. At Allsorts challenge we have two wonderful prizes to give away this week....sponsored by Tattered Lace and Sizzix. I hope you'll come join us there for a chance to win! And definitely lots of choices this week to join us, following our "I spy" theme. Be sure to visit the challenge blog to see what the rest of the team chose for their "B". A big thank you to everyone that joined in last week's linky party. 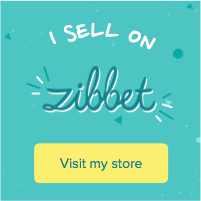 I'm having lots of fun visiting your blogs and meeting new crafty friends. Carole, if you read this I am so sorry I wasn't able to comment on your entry....I get a white screen when trying to comment, it probably is because my blog isn't signed up to comment on accounts requiring google plus. I did see your lovely entry, and I thank you as well for sharing that gorgeous cat ATC! 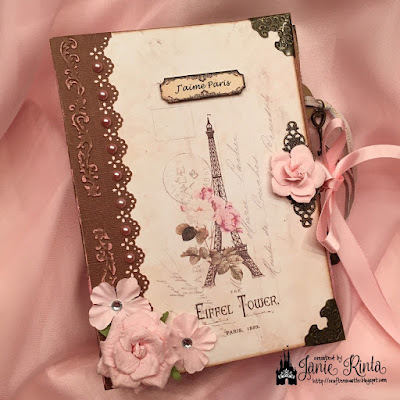 Janie created an absolutely beautiful Paris themed album. She put so many wonderful details into this, it's truly a work of art. Thank you so much, Janie, for sharing your creativity! Feel free to place the top pick logo on your own blog if you like. If you would like to play along for a chance to be featured here on my blog, simply click the linky tool below. Remember ANYTHING PAPERCRAFTS GOES. This can be something new or recently made (within the last week or two). Happy stamping and thank you for visiting!! 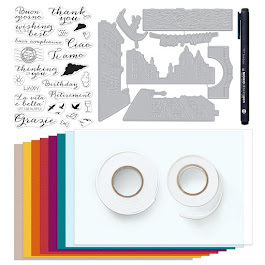 Enabler Alert - Save up to 70% on Clearance Scrapbooking Supplies! Not one but two lovely cards this week Ellie and I absolutely love the tone on tone green one, looks really striking. Many thanks for coming up with lovely inspirational 'B's' for this weeks theme. Going to pop back to link in a minute. Ohhhhhhh these are gorgeous! LOVING all the colors!!!!!!!!!! I love your boat creation Ellie, the background looks fab. A very nice card. But will you please link him by the right challenge? Are you a follower yet? Please do if you aren't. Two super cards Ellie, gorgeous background and image for the first card and love the monochrome or should that be monochromatic of the second card. I love the background on your boat card! Thanks for joining us at Country View Challenges. Both cards are so very pretty. Love how you did the backgrounds. Love them both but the ship is very striking, looks like it is at sea with those colors you chose. What beautiful cards. I really love the background on the first one. Haven't tried your technique with the Zigs for a background & I really love that card! Thanks for sharing and inspiring at the Watercooler Wednesday Masculine Anything Goes challenge this week Ellie. I like the bold look of the smooched background colours and the boldly stamped ship sailing along. The addition of the blue ships wheels below the sentiment is a nice touch for this card. Nice card! Thanks for joining our challenge at 2 Sistersontheblog. Thanks a lot for sharing your beautiful card with us at Stamps and Stencils this time. Hugs! Beautiful! Love the design! Thanks for joining us over at Create & Inspire Challenges. What a beautiful watercolour background!!! Great design!!! Thank you for joining the February challenge of the Country View Challenges! Great card, very pretty. Thanks for joining us at The Paper Shelter this week. Beautiful, and unique cards Ellie! I especially love the first one! Oh Ellie, what a wonderful wash of background colours you've created for your ship! I love that image and the way you've added those nautical steering wheels to the bottom border. Thanks so much for joining our Watercooler Wednesday Challenge this week. Great birthday card with your color brush technique. 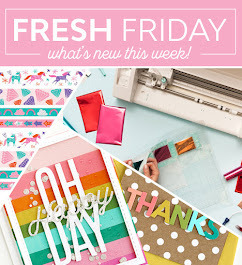 THanks for playing with us at 4 Crafty Chicks this week! beautiful cards :) Thank you so much for playing along with us at the Simon Says Stamp Wednesday Challenge!